There’s no doubt that surviving a hot day is SO much easier than when we were kids. Flash back to a time when air-conditioning in the car involved winding down your windows. You were likely to get burned by the seat belt with the giant metal buckle and your thighs would stick to the plastic seats. If you were lucky, you had one of those big beast wall unit air conditioners in one room at home … and the really lucky kids had a pool! We were also a lot better at putting up with the heat. Water play was alive and well and hours were spent running through sprinklers in the back yard… everyone just dealt with it. These days, it seems the weather’s getting hotter or we’re getting more precious, but it certainly seems more uncomfortable. We’re also aware of how dangerous the heat can be, particularly for infants. If you don’t have air-conditioning at home or you do but you just don’t want to hang out at home with your offspring for the ENTIRE day, here are some ideas to escape the heat. North Rocks Shopping Centre has a little toddler play area just outside Pronto Rocks Café. Pirates are popular with both Castle Mall and Home Hub Castle Hill having a Pirate Ship Playland for kiddies. Stanhope Village also has a great indoor one for toddlers near Leaf Café. And there is another relatively new play area at Winston Hills Mall. Here’s a list of shopping centre play areas (note some are outdoors). Blacktown Leisure Centre has an indoor wave pool and the toddler splash pool. 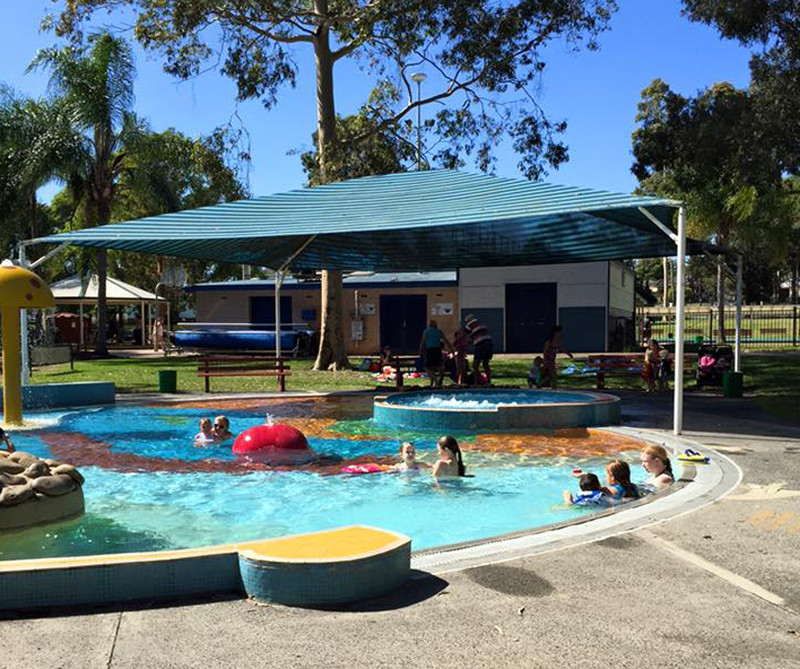 Waves Fitness and Aquatic Centre at Baulkham Hills has an outdoor sun protected splash pool for the little ones and an outdoor pool for older kids. Hornsby Aquatic Centre has a fantastic indoor water play area as well as the larger outdoor pool. Riverstone Swimming Centre (below) has an Olympic pool, a second smaller pool and a cool kids pool that has a shallow spa, a shower fountain and a bubbler fountain. The kids area also has a second mini spa area that’s like a bench seat (aka parent massage spot!) and a ‘current’ area where they float and the current pulls them along. There’s plenty of shade, a small play area and bbqs. Little Plaster House is located in Norwest Business Park and they’re open most days for casual visits (just check their website and give them a call to make sure they’re not closed for a party). Candyland Playhouse & Arthouse in Vineyard has also just opened a ceramic studio. Ikea is a great way to fill in a few hours and the Marsden Park store isn’t too far away at all. Have a wander around and a little play in the children’s area then enjoy a seriously cheap lunch – kids meals are under $5. Libraries are great at any time, heat or no heat. You can even time your visit with one of the reading sessions held for children. Click here for details on bubs and books sessions. The Castle Hill library (below) even has a cafe attached and a cool reading area that looks like a castle. If you have a young one, head to a ‘Bring Your Baby’ session at Event Cinemas Castle Hill. They’ve also recently launched ‘Event Junior’, where the sessions are aimed at under 5s and include the movie, modified lights and sounds and a 10 minute intermission. Reading Cinemas Rouse Hill also does ‘Spit the Dummy’ sessions too. Or check out what kid-friendly movies are on for those slightly older. Have a coffee, stay cool and say hello to the animals! If your kids are a little older, there are a few great entertainment options in the Hills to hide from the heat. 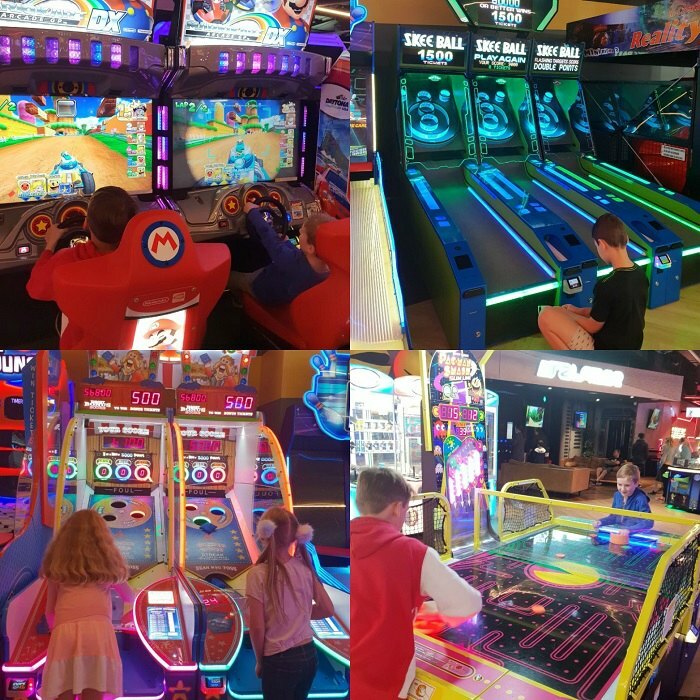 We visited Timezone at Rouse Hill Town Centre for the first time recently and it was great fun! There’s also Holey Moley Golf Club and Strike Bowling at Castle Towers which is good fun. Read more here. 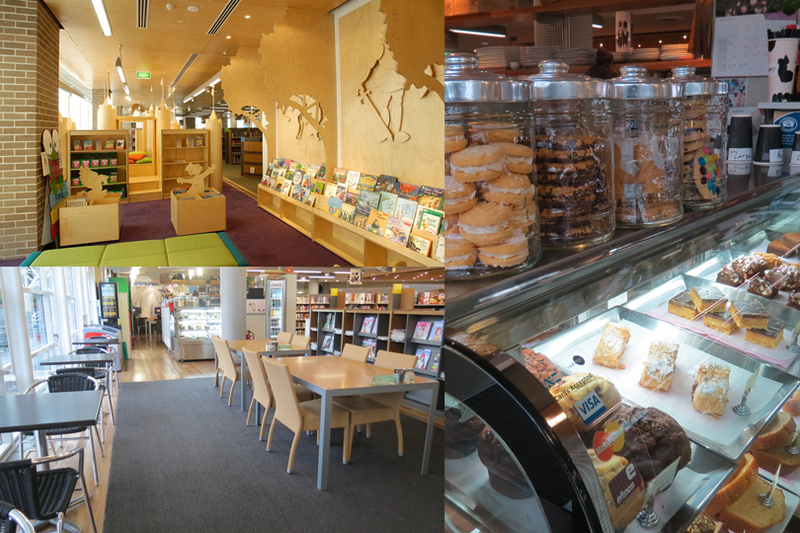 We have some listed in our article cafes next to play areas (note, not all listed are indoors). You could also visit Wenty Leagues, The Australian Brewery, Blacktown Bowling Club (pictured below) or The Pennant Hills Hotel – here is a list of pubs and restaurants with play areas. You don’t have to head to the beach to have a splash around. 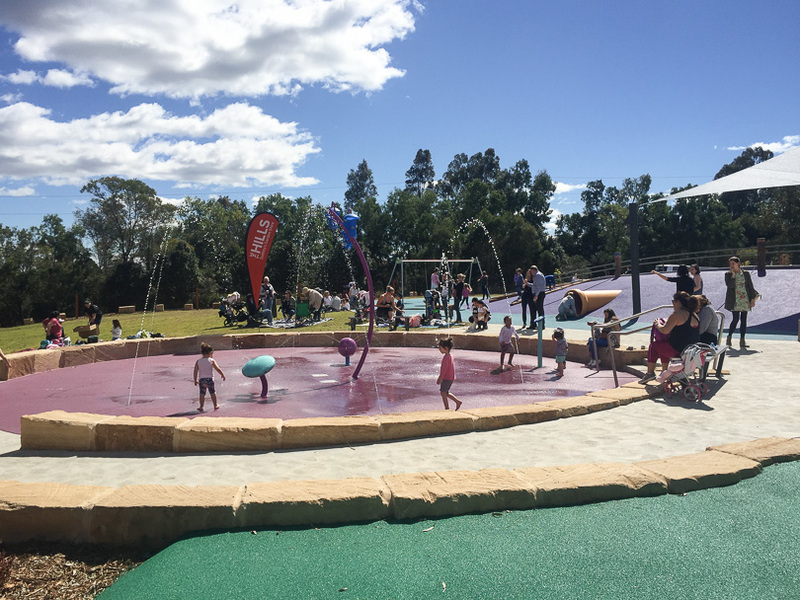 There are some great water play parks not far from the Hills, and now even one right here in the Hills at Bernie Mullane (pictured below)! Find out more here. Just keep in mind that they’re not always shaded. For those of you in the upper Hills, Candyland Playhouse is in Vineyard and is fully air-conditioned – read more about it here. 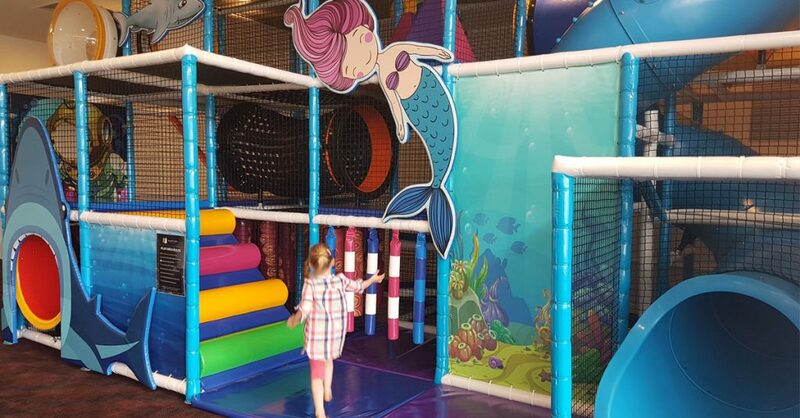 Chipmunks Playland in the Macquarie Centre is also a great indoor play centre and again fully air-conditioned as is Lollipop’s in Castle Hill. There’s also Wannabees in Hornsby. If you have a child that loves imaginary play, then this is the place for them! 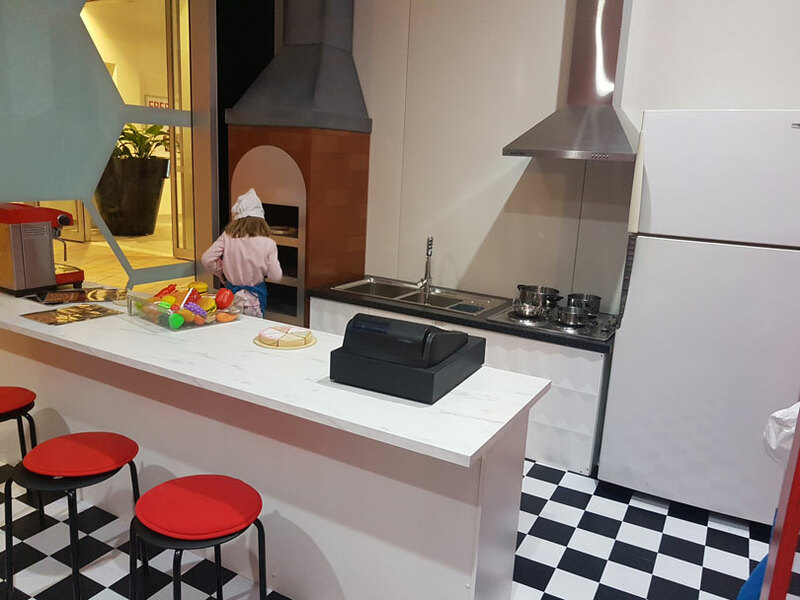 It’s way more than your average playcentre, it’s a child size town with replica shops, amenities and props where kids can role play for hours on end! Read more about it here. 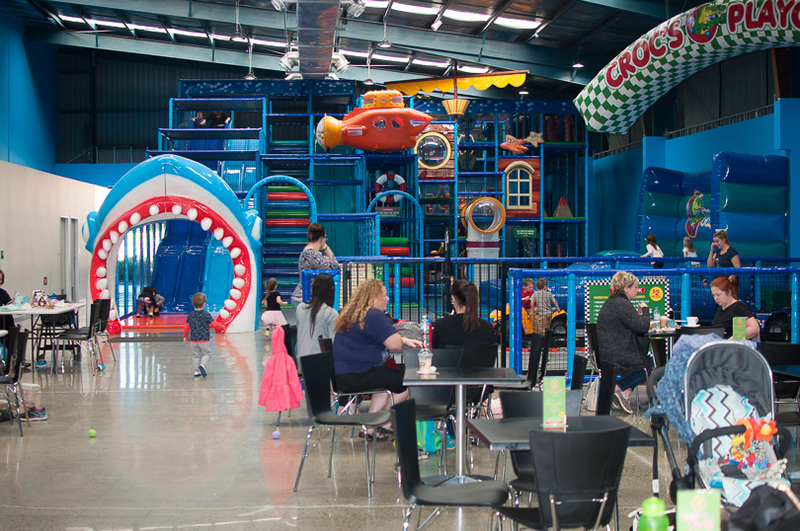 And Croc’s Playcentre in Castle Hill and Prospect are great fun and even have a Muffin Break cafe on-site! Read more about Croc’s in Castle Hill here. All fun aside, heat waves can be really dangerous. Infants in particular are more vulnerable to heat-related conditions, so it’s important to stay safe and cool when these hot days hit.